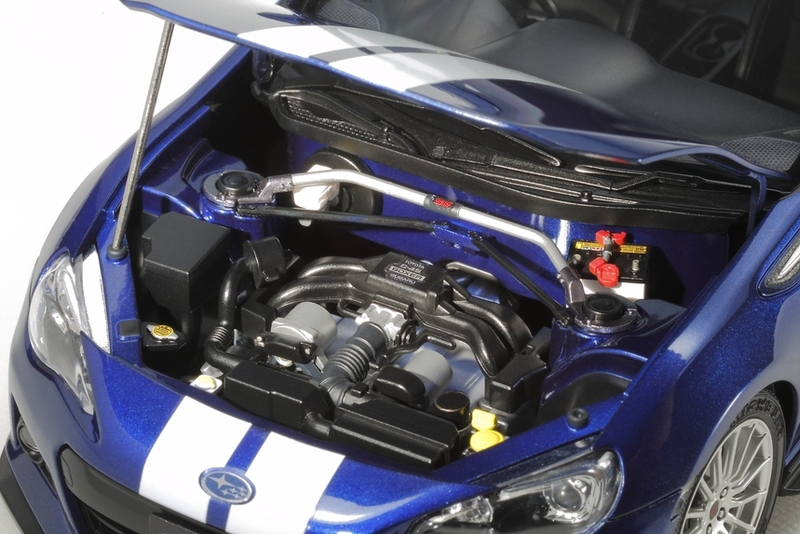 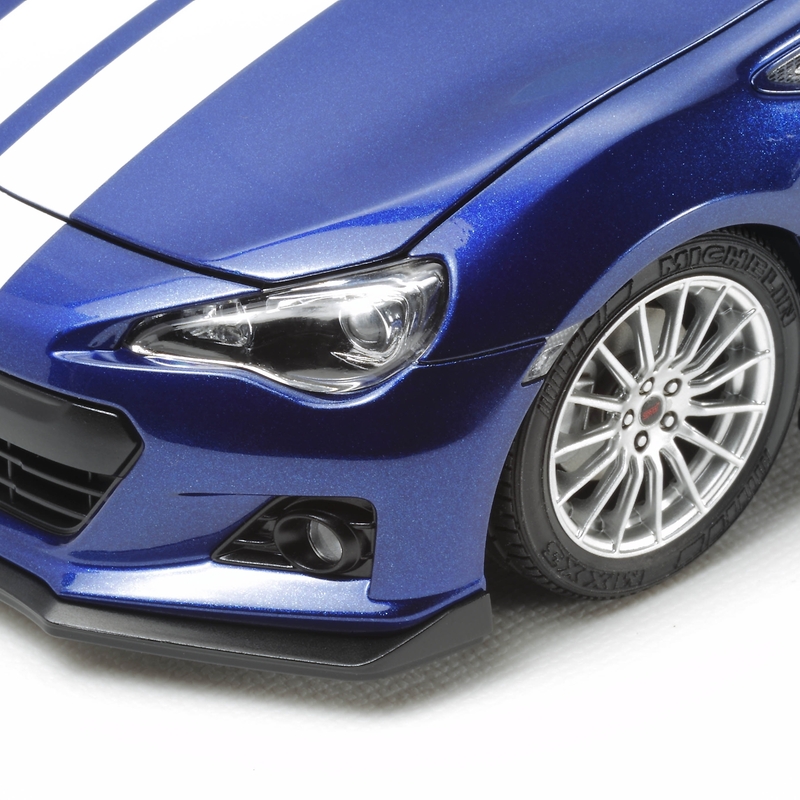 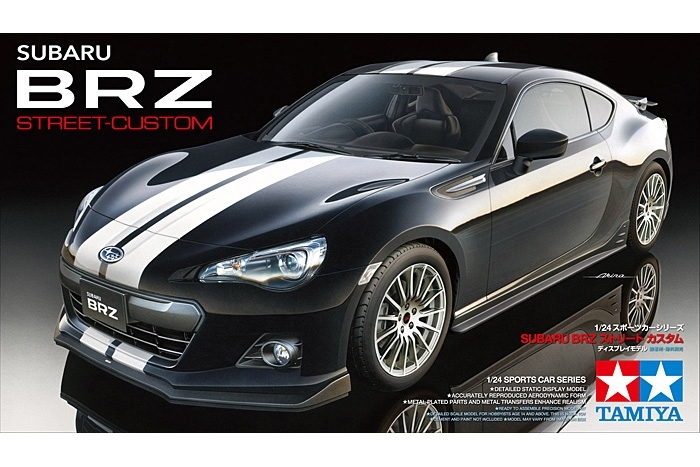 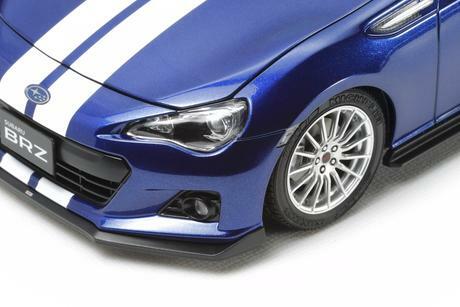 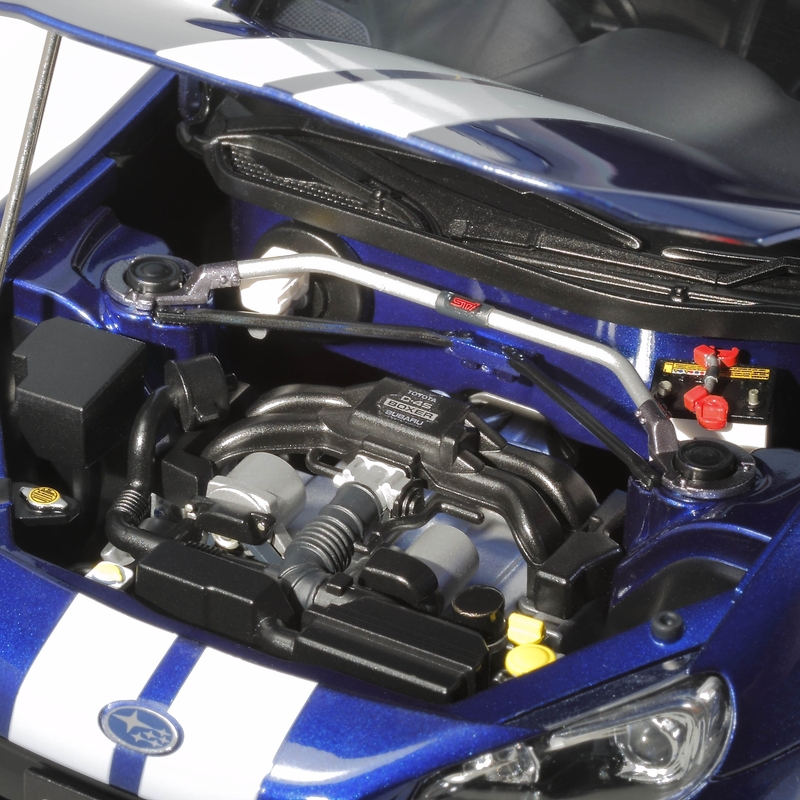 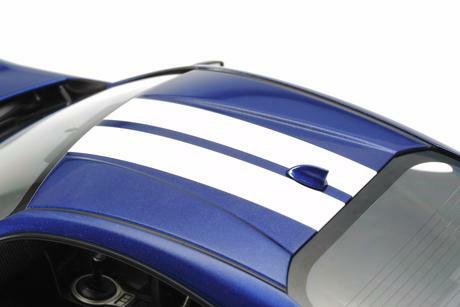 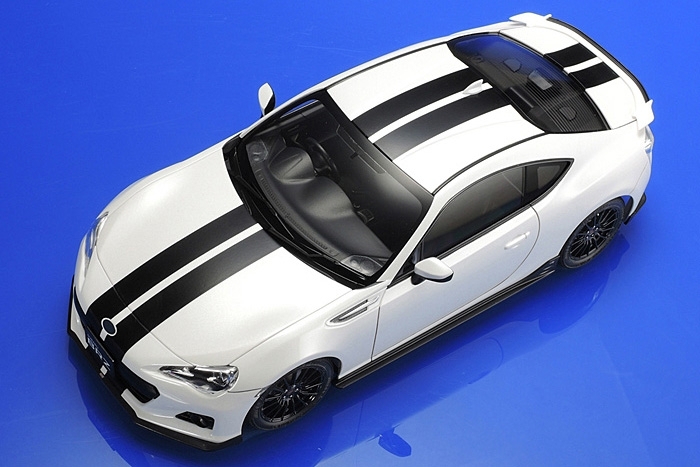 This kit recreates the Subaru BRZ with customizing parts fitted to the car. 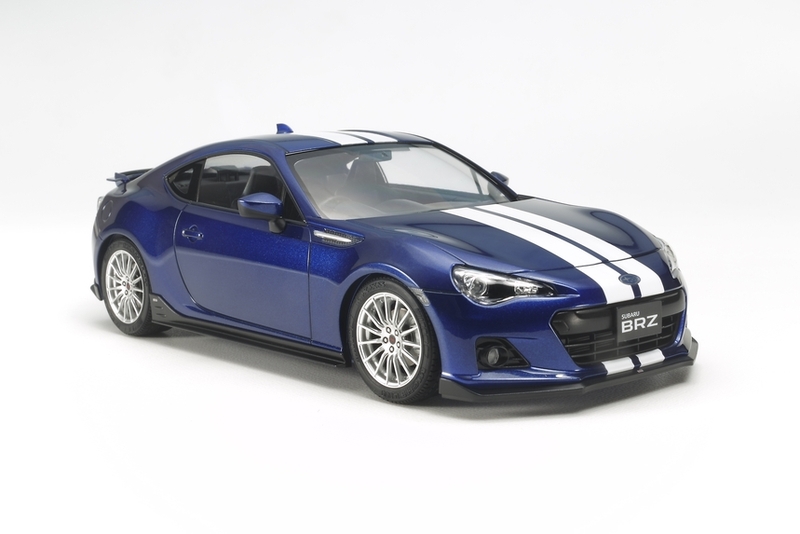 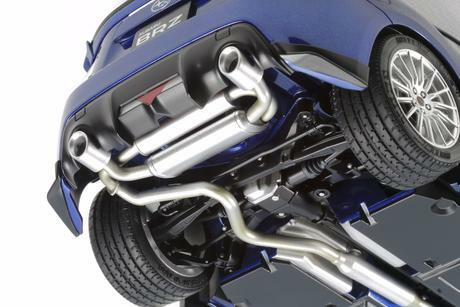 The BRZ, of course, is a high powered front engine rear-wheel drive sports car with tuned front strut and rear double wishbone suspension. 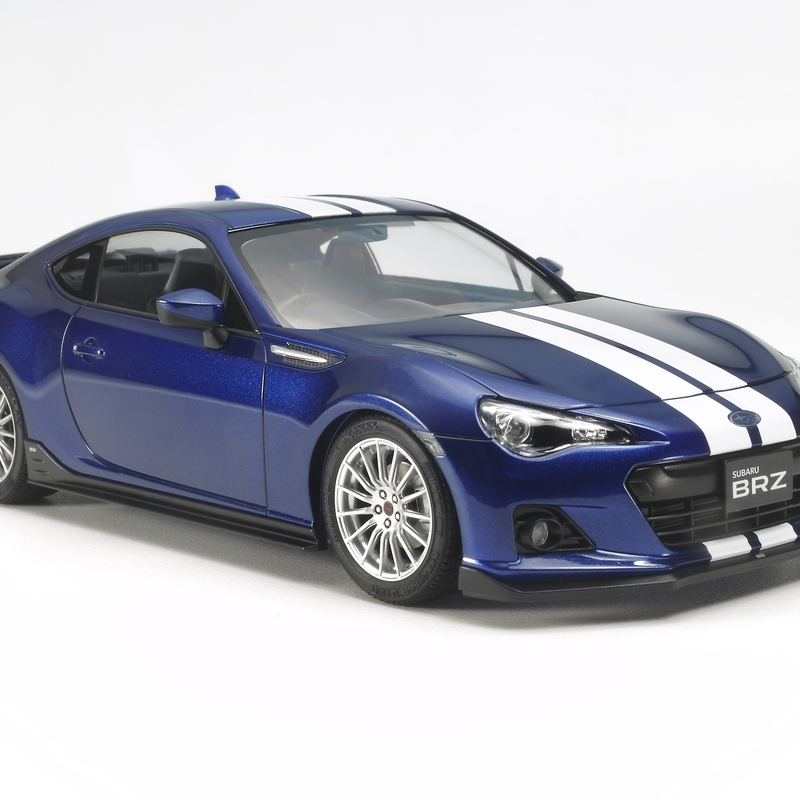 In keeping with its sporty profile, the BRZ is frequently customized by its owners, and one of the main sources of customizing parts is Subaru Tecnica International (STI) - a company in the same group as Subaru. 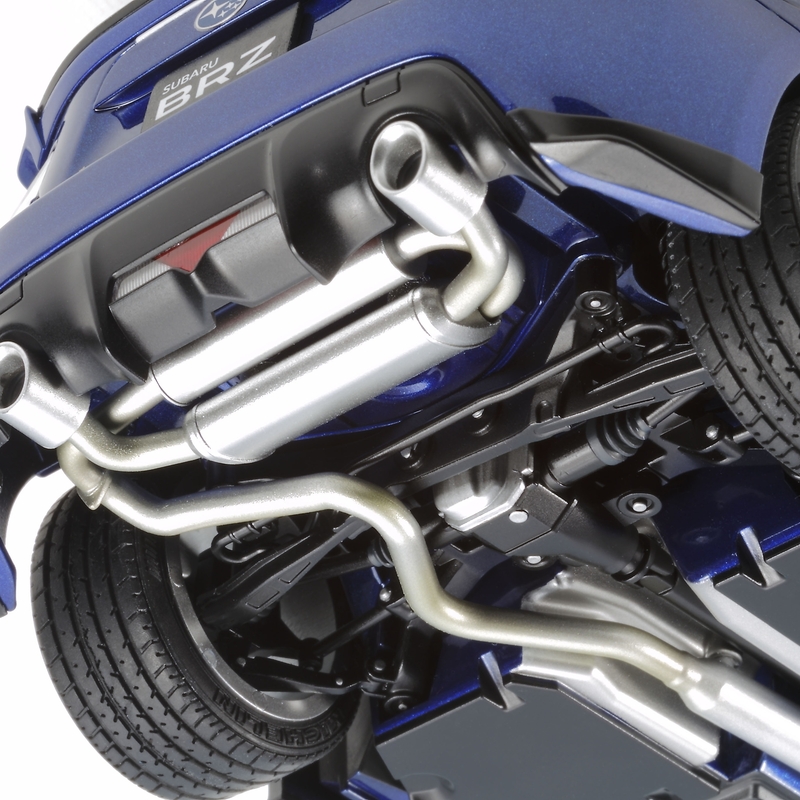 They offer a wide range of parts to tune different areas of the car. Now, newly-designed parts are included in this kit to depict such customizations. Special Feature 1 Length: 178mm, width: 84mm. Special Feature 2 Includes realistic depictions of the 2-liter boxer engine, suspension, and interior. 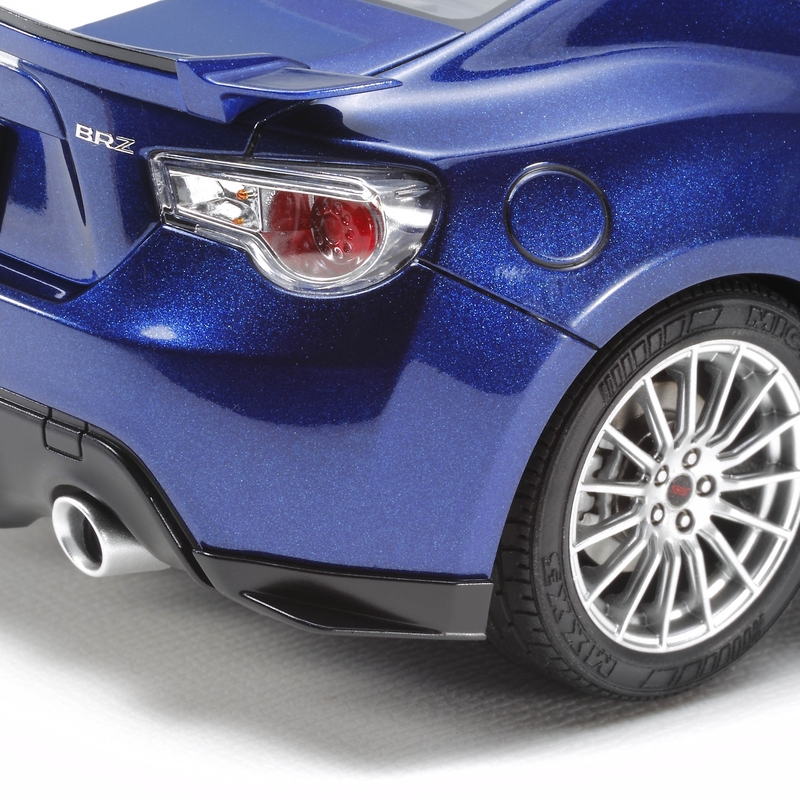 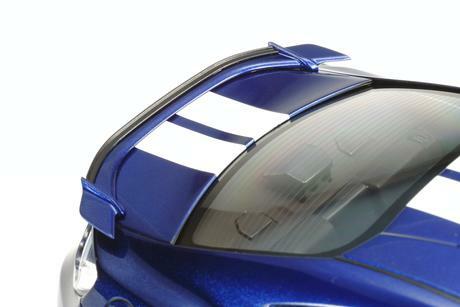 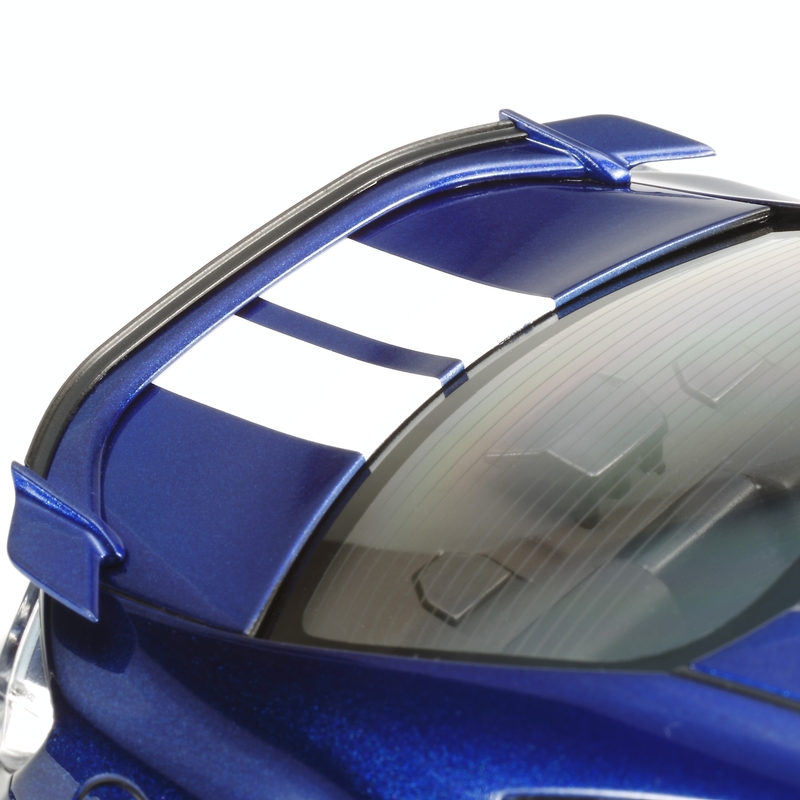 Special Feature 3 New parts depict front lip under spoiler, plus rear and side under spoilers at the base of the body. 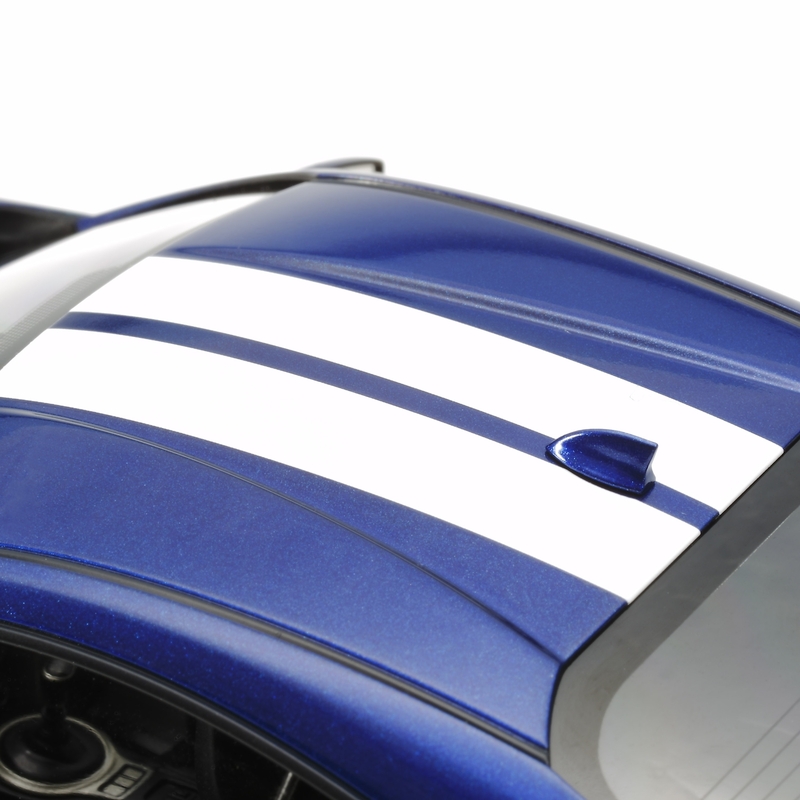 Special Feature 5 Decals feature a newly-designed body-center stripe in a choice of white or black. 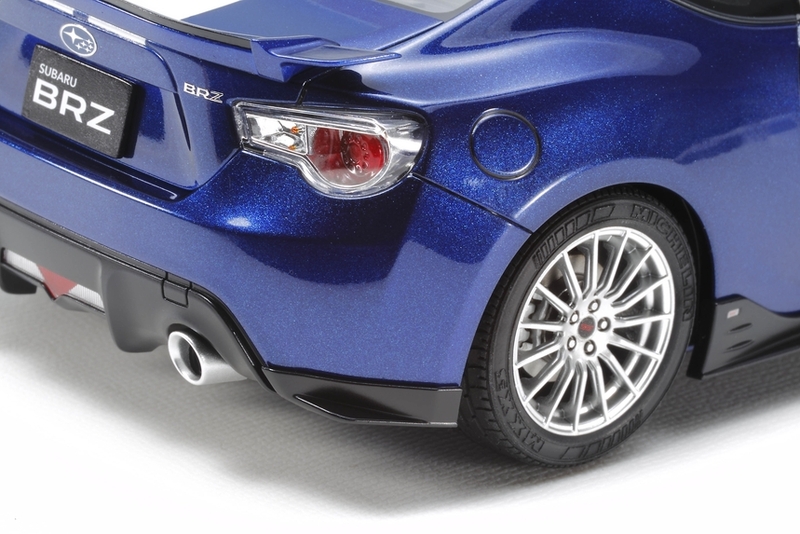 Special Feature 6 Metal transfers and masking stickers are included.